Employees who participate in NY Tobacco training learn how to responsibly sell tobacco in the state of New York. This four-module online workshop teaches employees the legal age limits in New York counties, how to check identification and how to refuse sales using appropriate customer service skills. 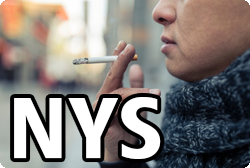 Upon completion of all three modules, employees are State Certified in New York State Tobacco Sales Training.